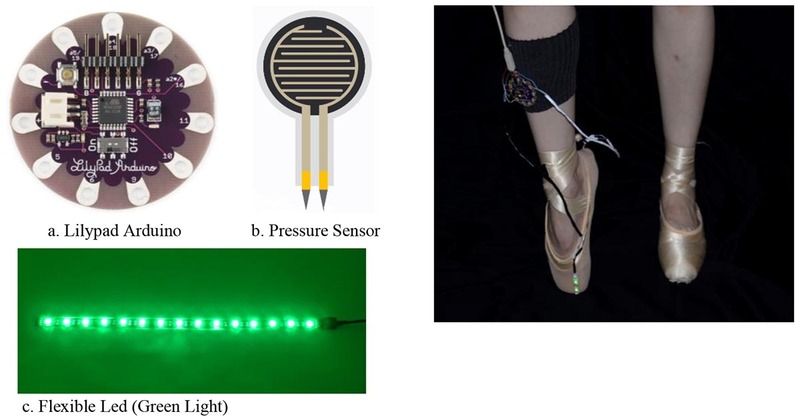 This project explores self-evaluating systems for ballet students to track their turnout and body alignment status through smart ballet pointe shoes. In classical ballet, turnout, the outward rotation of the hips, is essential to training dancers to perform various ballet movements and postures. Body alignment in ballet is what is considered good posture. Proper alignment is the foundation for all ballet technique. However, finding and realizing these two elements by oneself is difficult and requires significant experience. 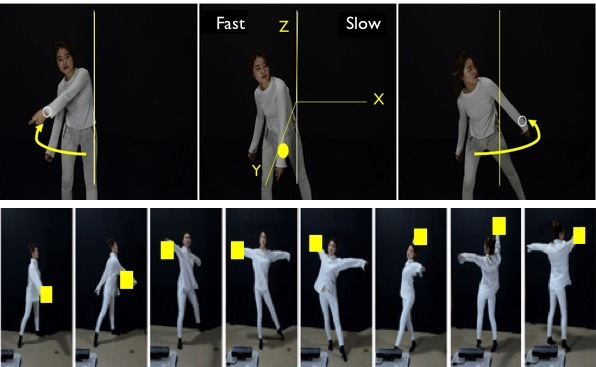 In this paper, turnout adjustment through pointe shoes with LED visual cue and body alignment posture checking using iPi Mocap Studio is proposed and applied to check dancers’ posture status. Survey results for professional dancers. 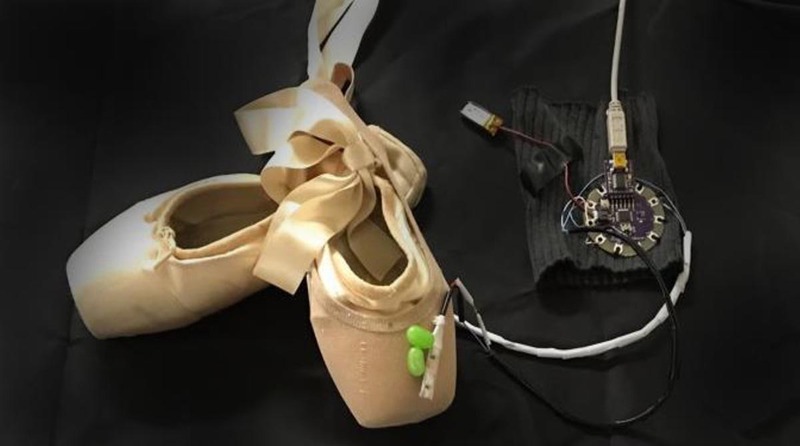 Motion capture process to complement sensors placed on the ballet points shoes. Wearable electronics (physical computing) project developed by HyeJi Kim, KAIST (2017). This project explores live audio-effect manipulation system guided by human body movements. The proposed interface allows users to intuitively explore musical structure. Through body expressions, users can manipulate not only their surrounding space but also sound distortions. Depending on the user’s position, the prototype’s frameworks of sound panning presents natural instant feedback when it is beyond the threshold or beneath, which in turn facilitates more intuitive interactions. A choreographer, especially in contemporary modern dance, arranges body movements and expressions to existing music or works with a musician to create a novel musical score for the performance. The dancers then synchronize their movement to the music; choreography responds to the music as fixed-output for the movement. However, in modern dance, the movement arrangements are not completely fixed to the music. contribute personal style into the performance. It has become expected for the performers to interact with and manipulate the varied environment they are creating through their movement. For more detailed video about this project see this link. Diagram of the mapping system between body movements and musical effects. For generating the fast tempo with high pitch, performers should move their own body towards the right side along the X, Y, and Z-axis. 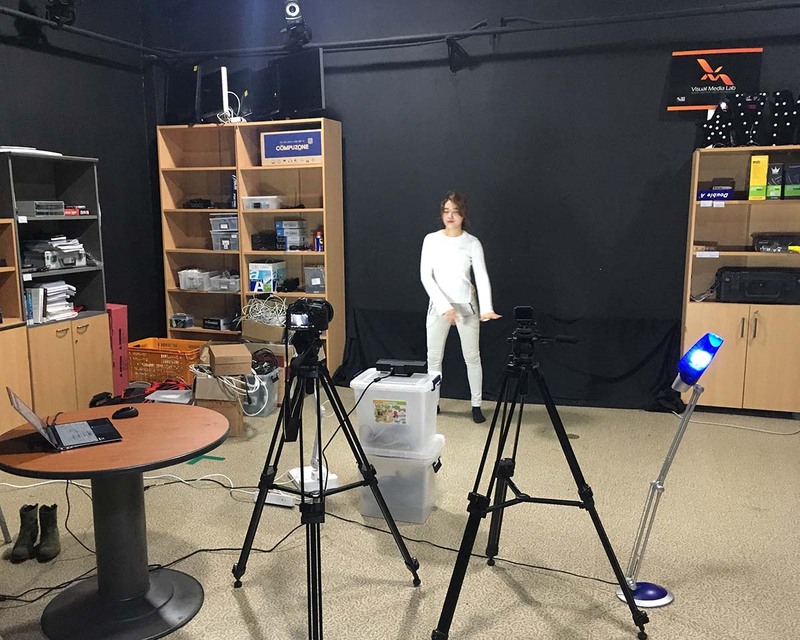 Recording set up with the kinect 2 sensor, cameras and computer console. Bandicam motion recording and mapping of dance to music. Max/MSP modules, allowing for panning the sound.